TossTheKey – Helping you stay safe and secure. Home security is a big deal. Every year, Americans spend billions on products that will help protect their most valuable belongings, their homes and themselves. Anything that can give the upper hand to a hard working American in protecting themselves from any sort of natural disaster, burglar or even personal issues will pique their interest. TossTheKey is dedicated to providing people with up to date news on how to keep yourself protected from anything and everything. We go through the best safes currently on the market, and in the future we will be covering even more. A lot of people think that in order to get their hands on state of the art equipment that protects themselves, they will have to fork up an arm and a leg. This might be the case for some of the newest security technology out there, but for the best safe using combination locks or even digital locks, this is definitely not the case. Protecting your family and friends with a top rated home safe is a great way to get yourself feeling comfortable and safe. We all spends loads of money on valuable things. Be it a high end computer, your new phone or something like a new piece of jewelry. You can store anything inside of your safe. The last thing we want to happen is have ourselves fall victim to a home invasion and lose everything we have bought and earned. This is where a fine home safe comes into play. Normally a home safe will run you anywhere from $100 – $400. For most people this is doable. And for the peace of mind achieved, it is a great idea to invest in a quality safe. If you are still new to home security products; specifically safes, it is important that you go fro name brand stuff right from the start. The main downside to the name brands is that they are more expensive. But, this is the case for almost every industry in the world. You get what you pay for, and when it comes to safes, this is no different. So what brands should you go for? Well, there is many that we recommend. But, to get started – you should check out our Sentry Safe guide & reviews. This company has been around for many years and is known for their incredible products. Another company that has been around for a long time is the Mesa Safe Company. 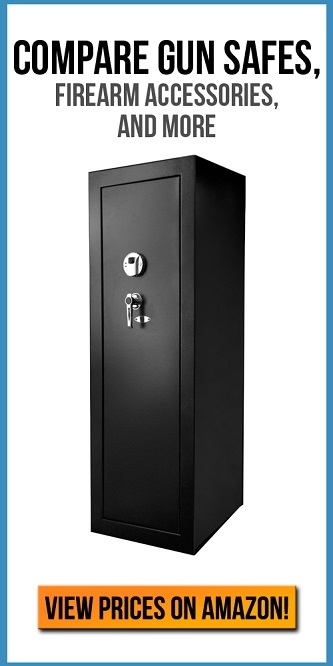 They are well known for their well built, American made, steel safes. You can check out a few Mesa Safe Company reviews here. While Sentry Safe is more for safes inside of a house, we’d recommend our Winchester safe guide & reviews for people looking for gun safes. Winchester make some of the best rifles in the world. One’s that have been used by the US military for over a century. Their safes are no different in terms of quality. You get what you pay for with Winchester. We strongly recommend them to everyone. Another incredible gun safe company is Stack On. You can read our reviews and info guide on their safes right here. Some people are new to protecting themselves, and feel like they might be out of the loop when buying a safe to keep themselves safe. This is completely normal and nothing to feel ashamed about. A lot of the best safes out on the market these days come with the same kind of features, just built differently. Every brand has their own secret recipe to the madness. If you have a brand in mind, great, if not, here is a couple really important features that you should make sure your new safe has. Of course, as time goes and you do more reading here on TossTheKey, you will become more comfortable in making a proper decision on what are the features you need. Keep in mind, gun safes are different from home safes. If you are into hunting and you’re in the market for a new gun safe, you can check out our article about the top rated gun safes. What is biometric technology & how can it help you? Recently in the security industry, biometric technology has made a large surge in popularity. This is due to it being the newcomer technology on the everyday consumer market. It has dropped in price considerably, and a lot of people are jumping at the low cost opportunity. One of the biggest uses people are getting out of biometric safes is the ability to store a pistol or two in a quick access pistol safe. This allows them to have it on hand ready to go at all times of the day. They just simply scan their fingerprint and off they go, they’re ready to defend themselves. This is great if you live in an open carry state, or any other state that allows you to wield a firearm and use it in your defense in the event of a home invasion. A lot of people think of the top rated biometric gun safes as James Bond type products and think it is overkill. Fortunately, this is not the truth, and a lot of everyday citizens are now enjoying this new technology. And are able to get to their firearms and any other belongings they may have stored away in a flash, and for a lower cost. To some burglars, a safe they spot when inside of someone else’s home is a potential gold mine. Who knows what is inside a safe? They will find out. As almost any safe with an experienced thief does not last hours and hours of repeated abuse. This is where wall safes come in. How can a burglar steal your safe from you if they don’t even notice it? Almost all of the greatest wall safes these days’ fit right in-between two studs in your wall. Not only that, they also look like a part of the wall. Just make sure you get a safe that is the same color as your wall, or at least paint it. The best defense you can have to protecting yourself in the event of a home invasion is having the burglar not even find the most valuable items in your home. There is an old saying that goes, “out of sight, out of mind.” And it is completely true. We all go through our day to day lives thinking nothing bad is ever going to happen to us. This is a good way of tackling life simply because paranoia is not a good thing to live with. However, what people need to realize is that just because something like a home invasion may never happen to us, we should still prepare for it. It is a great idea to set aside a couple hundred dollars to invest in security equipment, specifically a safe. You do not need to worry about wasting your money here. The best safes on the market are built to last. You can easily get over 20 years following some simple steps to keep your safe in the best condition. And last, but certainly not least – keeping yourself and your family safe is the end goal. It is a wonderful feeling going to sleep every night knowing that should something crazy happen, you will be fully prepared. Make sure you take action today and purchase a safe for yourself. You will never have to deal with the feeling of regret should something go wrong.